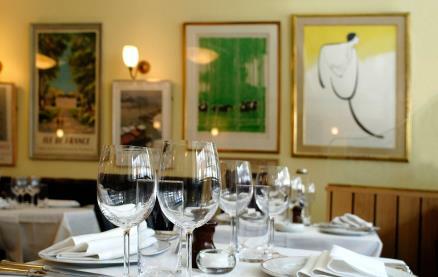 Bellamy's offers the choice of à la carte or table d’hôte menus which are drawn from the great Franco-Belgian Brasserie tradition. There is a variety of dishes ranging from Whitebait, Croquettes Parmentières and Crab Salad, through to classics such as Steak Tartare and Fruits de Mer Provençale. Staples such as Rillettes of Duck, Smoked Eel Mousse, Salad of Artichoke Heart and Haricots Verts, Fillets of Dover Sole and Sliced Entrecôte of Beef also feature on the menu. 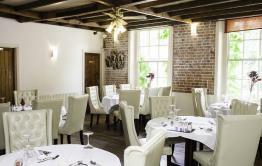 The Table D’Hôte menu is served at lunch and dinner and changes weekly. The wine list is exclusively French with strong representation from Bordeaux, Burgundy and the Rhone - all at accessible prices. The Oyster bar is open from midday to 4:00pm. As well as Oysters the menu features Chef Stéphane Pacoud's famous open sandwiches (Smoked Salmon, Crab and Avocado, Potted Shrimps) and, amongst other dishes, Cold Poached Salmon, Welsh Rarebit and a Salad of Tomato and Anchovy. From 5pm, Monday to Saturday, the Bar at Bellamy's is open serving a variety of classic cocktails (all at £10) together with a selection of wines by the glass. A perfect start to any evening. 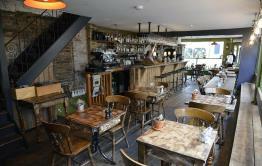 Be the first to write a review and share your experience at Bellamy's with other diners.